The Portes du Soleil has a whole range of great climbs, from bouldering, via ferrata’s, climbing courses and indoor climbing walls, Morzine has fantastic options for the expert climber to the beginner. Evo 2 offers a range of different courses and day trips for all levels. If you are feeling brave Evo 2 also offer a trip to try out the Via Ferrata in Saint Jean d’Alpes! This is not for the faint hearted! We can book you in to climbing activities whilst you are on holiday with us. Just ask one of the staff at your accommodation. For more information head to their website. Bureau des Guides de Morzine-Avoriaz also have some great options for climbing courses for the beginner! Neighboring resort Champery also has climbing options if the weather is a little grim outside. 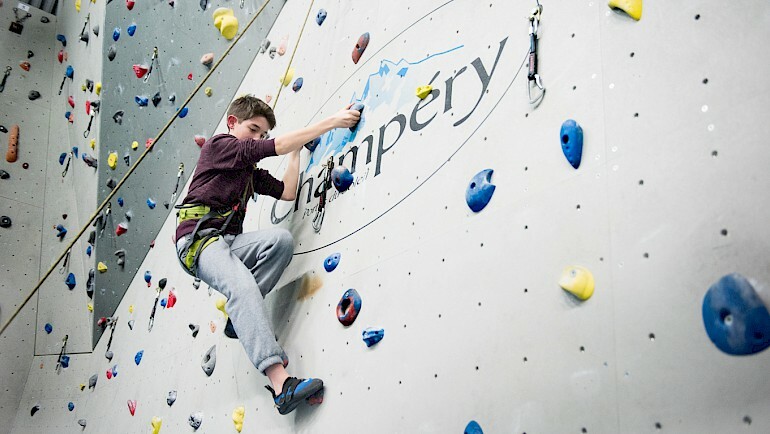 The Palladium Sports Champery also has an indoor climbing wall! The wall is 260m2 and has routes suitable for all levels and is even included in the Multi Pass offer! 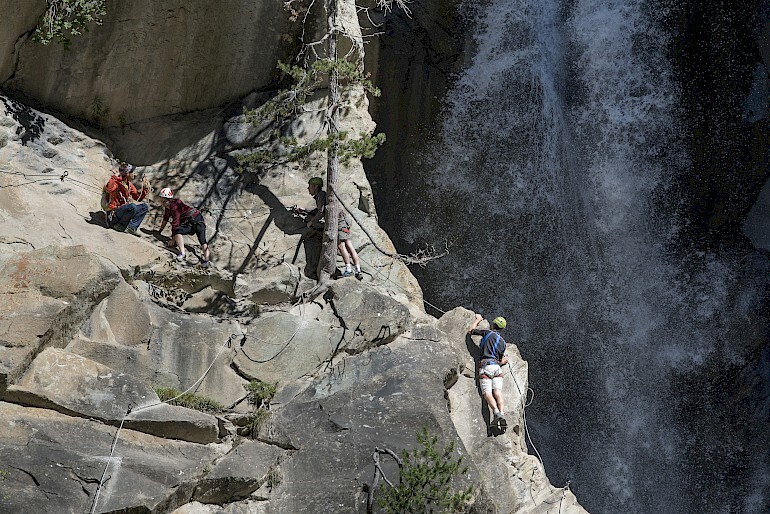 Children are admitted from age 5 and up when accompanied by a parent who has experience in climbing. For more information head to their website. 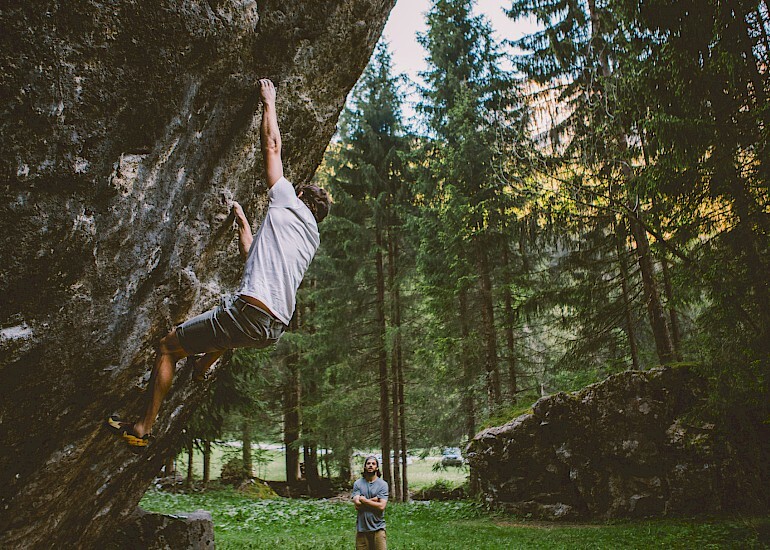 Morzine also has some great bouldering spots for all levels if you have your own ropes and shoes. – Ask a local and they will be sure to point you in the right direction! Looking for Morzine Accommodation? We have great family activity weeks available in our Morzine Chalet and hotel/ lodge rooms are still available in L’Aubergade, Le Cottage and the Ridewell Lodge. Get in touch for a quote!